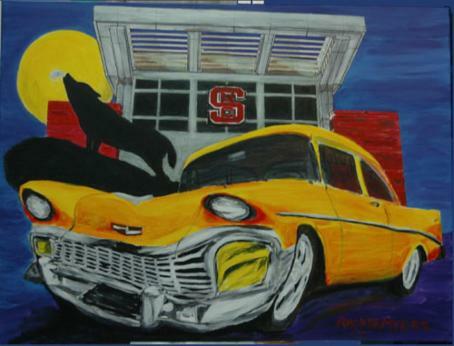 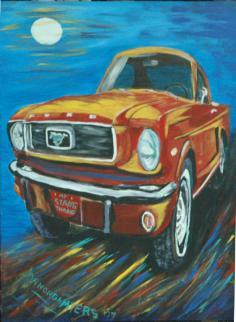 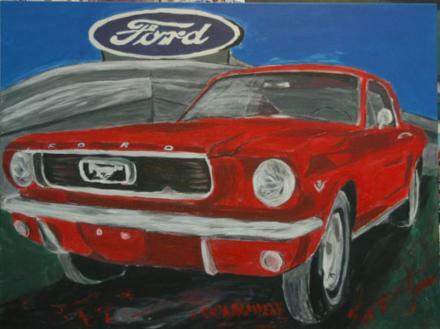 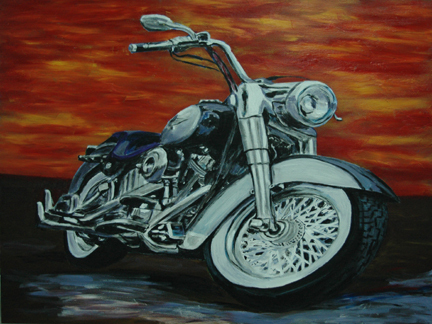 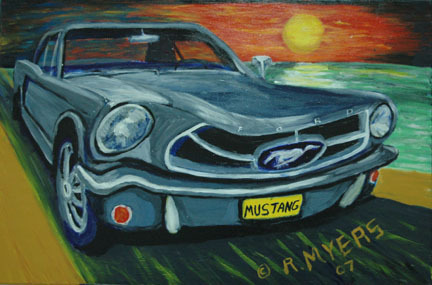 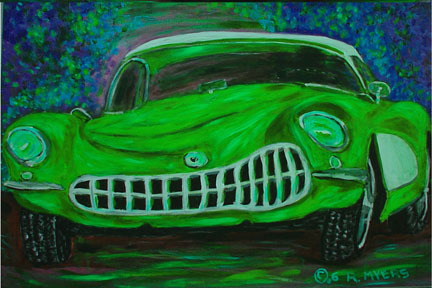 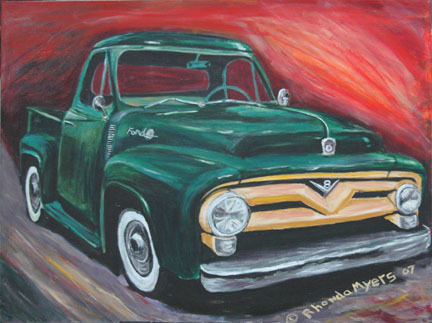 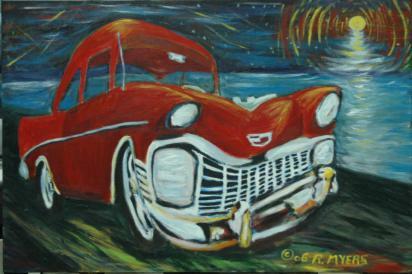 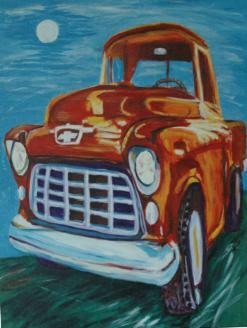 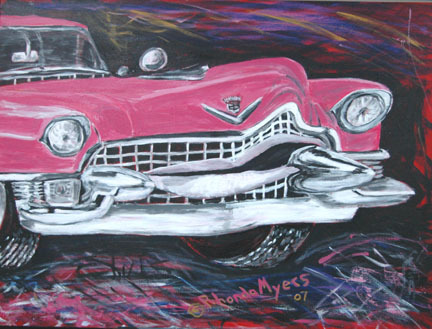 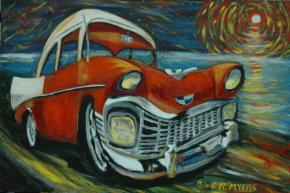 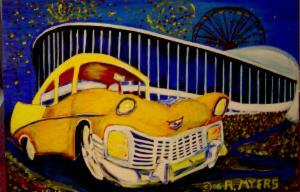 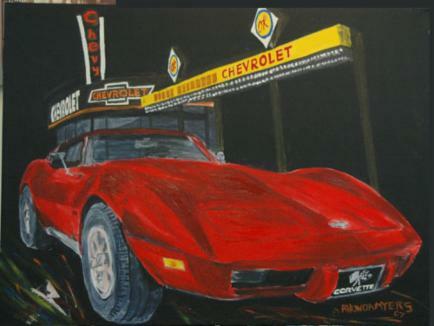 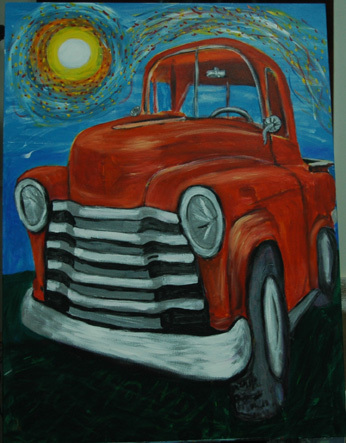 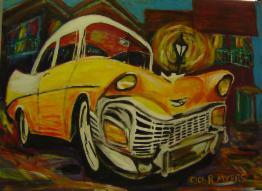 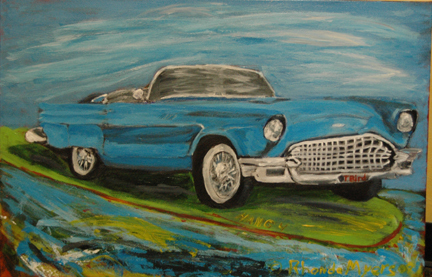 CAR ART, HARLEY ART, MOTORCYCLE ART, TRUCK ART, BOAT ART, BIKE ART, Beach Houses, ect. 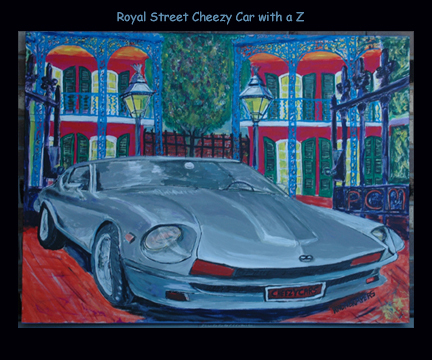 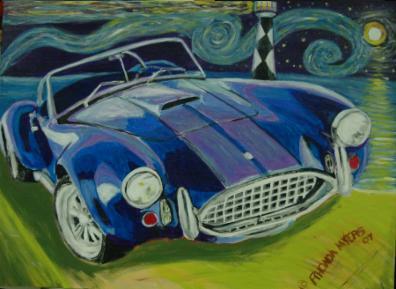 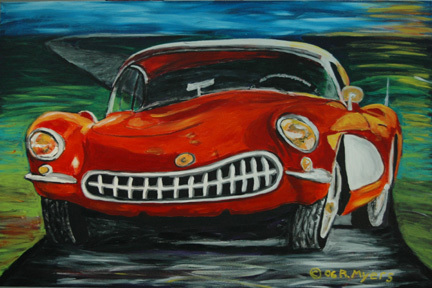 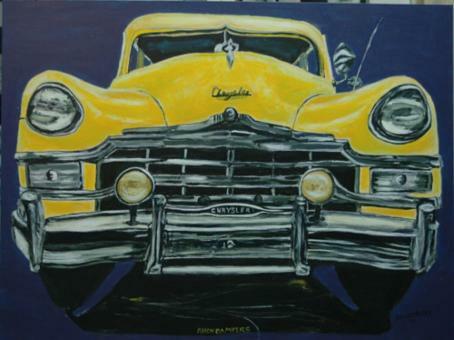 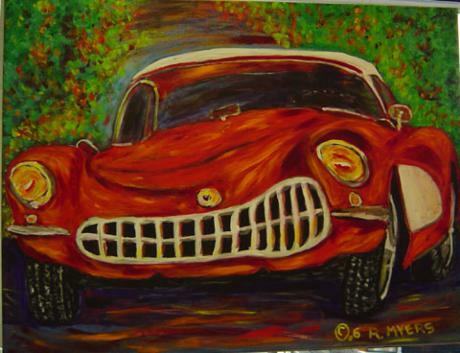 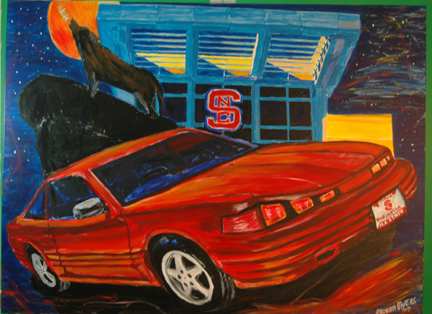 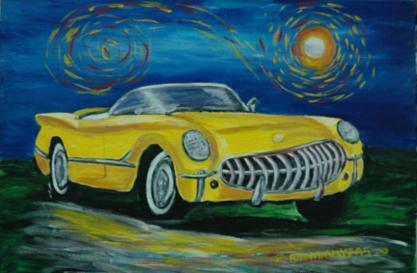 Find a style you like and your favorite classic car, and I will paint you a custom painting for your home, office, or garage, or buy a print of any of the paintings below for only $600. 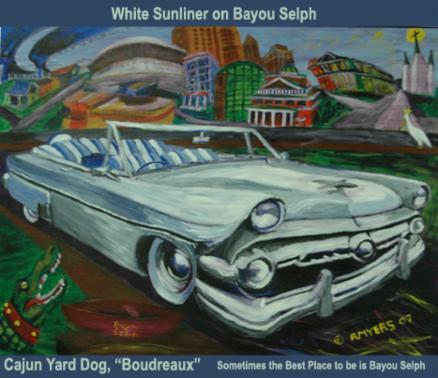 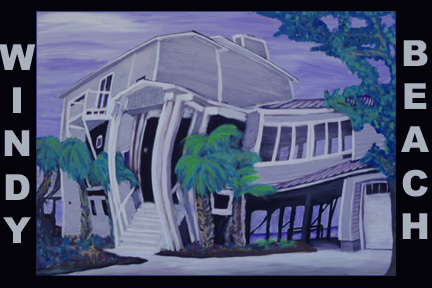 Your print will be printed on canvas ready for stretching onto a 24x36 frame..
Cheezy Sunliner, 36 x 48 "Bayou Selph" gallery wrapped Sold to Ilene and Gorman Selph. 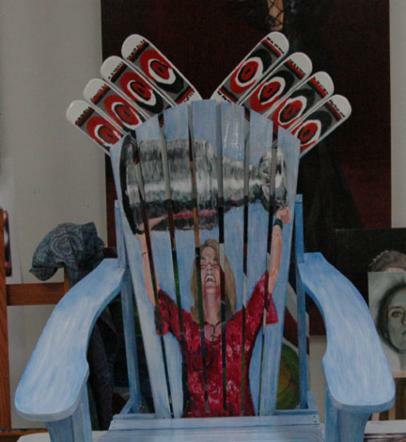 Glen Wesley's wife with the Stanley Cup.